The concise, complete introduction to case building and business case analysis. Essentials is written for those who must learn quickly what belongs in a business case and why—those who must build a compelling business case in the shortest possible time. How do I prove that one choice is the best business decision? Can I prove value for all benefits—even non-financial benefits? How do I measure and reduce risk? Can I deliver practical guidance for improving business results? How do I build a "business" case when I'm in government? Essentials assumes no prior background in finance or business planning. 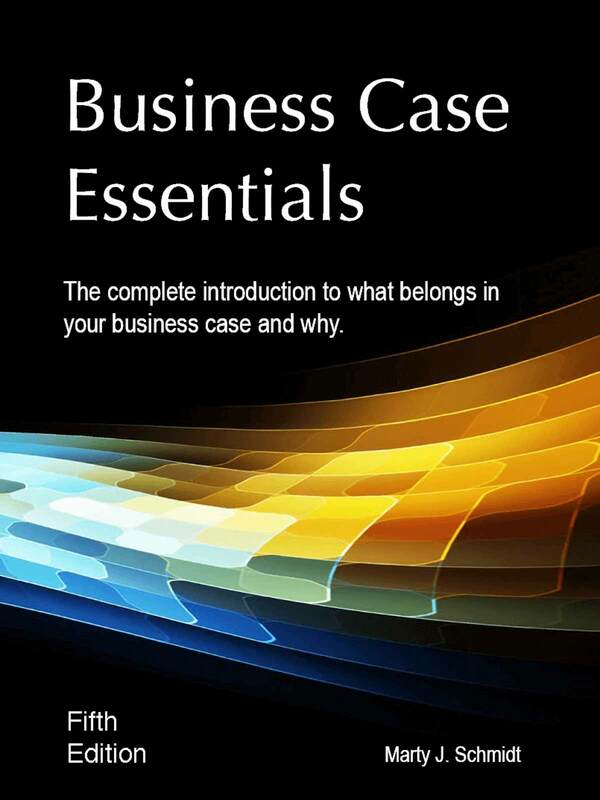 Now in its 5th Edition with nearly one million copies circulating, Business Case Essentials has become the most frequently cited business case-building resource in print. Business case results include cash flow forecasts, financial metrics, and tactical advice for actions and investments. 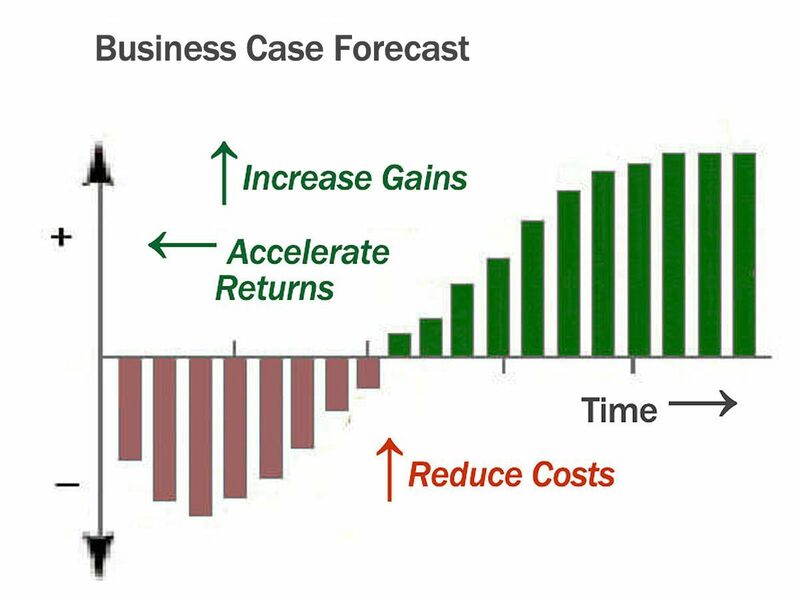 A compelling rationale turns business case results into definitive business case proof. Case builders must prepare for the questions on everyone's mind: Is your proposal the best business decision? Will we really see these results? The internet today is awash with books, training, and templates promising to help you answer the "What happens?" question. Most of them simply suggest a few cost and revenue forecasts for your proposed action or investment. However, revenue and cost forecasts alone make a weak business case. To achieve credibility, accuracy, and practical value in real-world business, however, the case must deliver clear answers to other questions as well: Is funding your proposal a good business decision? Will we really see these results? Can we expect significant non-financial impacts? And, which risks should we know about? Business case proof is compelling and defensible only when Case builders address all the questions. Nevertheless, most case building resources on the market are blind to this need and cannot produce credible answers for such questions. Case builder beware! In business today, real-world managers ask all the questions, and they expect answers they can trust. Our best-selling products, Business Case Guide, Business Case Essentials, and Business Case Templates guide case builders by the same principles of evidence and reasoning that bring decisive proof in the courtroom and the science lab. Our approach is unique and proven highly successful. Astute professionals worldwide report unmatched success meeting the full range of real-world business case information needs with Business Case Essentials. Business Case Essentials leads you step-by-step to professional quality business case results. Build your case in the 6D Business Case FrameworkTM,the practical, structured approach that businesspeople everywhere rely on as the Standard. Drawing on 20+ years of experience with a wide range of industries and business issues, the Solution Matrix 6D Framework™ is the Business Case standard for companies and governments worldwide. The Solution Matrix 6D Framework™ draws on 20+ years of experience with a wide range of industries and business issues. Companies and governments worldwide rely on the 6D framework as the Business Case Standard. The 6D structure helps you build and communicate the reasoning—the rationale—that makes your case. The 6D Framework serves, first, to define your case building process. Each stage, however, results in a report section with the same name. As a result, the 6D structure also describes your business case report. When report structure mirrors process structure, case readers travel the same logical path the case builder has just traversed. Cases built with the 6D Framework survive critical scrutiny, provide useful guidance, and predict what happens. Business Case Essentials is the textbook for participants in Solution Matrix Ltd Business Case seminars. It presents the same structured approach to case building that we deliver to organizations like ABB, BP, Cisco Systems, Ericsson, IBM, Microsoft, NASA, NSA, Royal Bank of Canada, the US Department of Defense, SAP, and others. Like our companion book, Business Case Guide, Essentials delivers methods and a framework with proven benefits for case builders and their organizations. Order Online and Download Today! All orders process through PayPal, providing you with complete PayPal security, privacy, and Buyer Protection. Click Checkout on the Shopping Cart to pay by MasterCard, Visa, American Express, Discover, or PayPal account. You do not need a PayPal account to pay by debit or credit card. Your payment information remains with PayPal. Solution Matrix Ltd never sees your payment information. Receive your receipt from Solution Matrix Ltd and PayPal immediately upon ordering. Receive product download instructions by email shortly afterward. Money-back refund if you are not satisfied! PayPal Buyer Protecdtion—for 6 months after ordering. Payment Privacy. Your payment information remains with PayPal. Solution Matrix Ltd never sees your payment information. Read more on your guarantees and protection on Customer Service Guarantees. Exactly What It Says It Is—The Essentials! "Essentials" is one of the few practical references on business cases available, an essential first step in a comprehensive business library, and should be on the shelves of every company looking to maintain a critical advantage in these shifting waters of economic growth and recovery. Five stars! Re-reading this, I liked it even more than when I first read it. It is concise. You can read it in a day. And yes, you will mark it up heavily. I'm using Business Case Essentials to identify where my clients break down in their business case process, then help them "make the case."